Our world is a world of social media. There are a lot of people that have a variety of accounts which includes a Twitter account, a Facebook account, at least one Google account, a Flickr account and maybe even an Instagram account. On top of each of these accounts, they have a number of twitter apps,Facebook apps, iPhone apps and may even iPad apps. We are an app centered world and may not even really know all of the apps that we have. If this sounds like the situation that you are in, then you should check out MyPermissions.org. 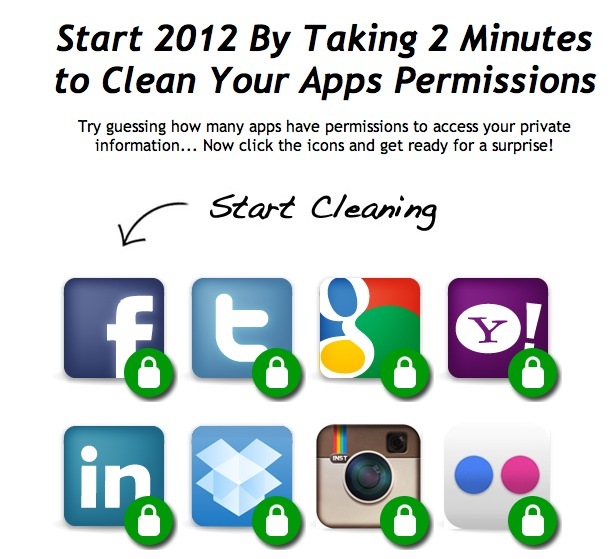 This application allows the user to take a look at all of these apps that you have granted permission to. 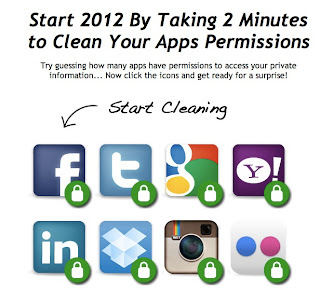 This looks at apps such as the regular Facebook, Twitter, Google, Yahoo, LinkedIn, Dropbox, Instagram and Flickr. The Dropbox, Google and Facebook are really social media examples that you may want to take a second look at the settings. If you go to the website, you will see that this is really a pretty simple app. It gives users a button to press. When the user presses the button it will link directly to the pages in each social network. The application will get rid of the barriers that are associated with this type of housekeeping. The website will provide a link to a URL which will show you a list of the apps and the web apps that you have previously given permission to at a previous point. You will probably find in that list a few that you had even forgotten about yourself. This is a free service and one that everyone should try. It might just save you a lot of frustration later on. So again in review, if you want to check the access or the permissions that you have to various applications or even web applications, that you should go to MyPermissions.org. 0 Respones to "MyPermissions App"